“Just as our Clients are critically important to our business, so are our people. Mavin’s customer base is diverse. At Mavin the majority of our clients are recognisable brands or organisations. We are referenceable within Automotive, Aviation, Construction, Defence, Finance, Manufacturing, Telecommunications, Travel and… believe it or not… Zoos! We cater for any business who requires our services. We are specialists in what we do and tailor our services and solutions to support what you do, it really is as simple as that. Yes everything was signed off on time and a lot of the credit can go to the help and commitment provided by your team. They are very well thought off here at HP. Just to let you know that the customer signed off the production systems yesterday and are in the process of doing so for development. So far, we have not been made aware of any issues whatsoever arising from the datacentre move! Good work for a 1000+ server move. Anyway, I'd like to thank you and your team, especially those who had to spend the New Year holiday away from home - without your hard work and professionalism we definitely would not have achieved the objective within the required timescales. Everyone has enjoyed working with you guys and we look forward to being able to do so again in the future. WHY use Mavin? In a nut-shell; Mavin holds the clients best interests in mind at all times. They deliver a high level of service consistently and are pleasant, professional people to do business with. I have been a customer of Mavin for hardware sales, hardware/software support and DR relocation since 2002. I have always found the Mavin team to be professional, very personable and great fun to work with. They are focused to consistently deliver high-quality solutions at tremendous value; knowledgeable, very flexible and strive to ensure total customer satisfaction. I would recommend without any reservation. I have worked with Mavin for many years now and find everyone I deal with, knowledgeable and an expert in his or her field. From initial engagement, relationship management and delivery the team at Mavin have never let me down and many times I have tested their capabilities to provide some inventive and flexible solutions. They are detailed and always provides great results and I would recommend Mavin for all levels of Data Centre development, Telecom Support Services and Infrastructure programs. From concept to delivery Mavin excels and exceeds expectation consistently. In 2009 I was looking to purchase a new Data Centre facility for the MOD, Russell was recommended to me via London City Airport. From the first moment I saw Mavin’s unique Data Centre facility I knew I had found the right product. Russell’s no nonsense, can do approach was also very refreshing. What always comes across with Russell is his professionalism, his attention to detail and customer satisfaction. 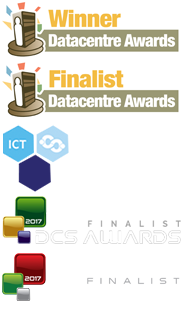 I would recommend Russell and the Mavin Group to anyone considering a new datacentre solution. Russell has been a preferred partner for me for over 12 years. The service and attention to detail that Mavin provide is second to none. The team at Mavin don’t just make you think you are important to them as a customer, they ensure this really is the case and prove it, time after time. Always going the extra mile to ensure the right solution or engagement is available to you. Russell will never try to deliver anything that is unrealistic and will work with you until the right solution is in place ensuring everything you require is there first time. I would not hesitate in recommending Russell and the Mavin Group.